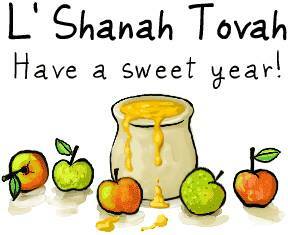 This week marks the Jewish New Year, Rosh Hashanah and the Day of Atonement, Yom Kippur. For the Jewish community these are the most significant and most somber days of the year. The 10-day period is marked by self-reflection, prayer, spirituality and perhaps most important, asking for forgiveness. It’s notable that this time falls in the middle of the secular calendar, giving us another opportunity to refocus and recharge our batteries as we bid farewell to summer and prepare for the colder months ahead. As I was anticipating this year’s holiday season and wondering, as I always do, if I will find the inspiration I seek, I received an email from a dear friend. This friend has been through a tough year marked by a contentious divorce, the challenges of aging parents and worries about college-age children. At the end of her email, she relayed to me some things she’s learned about herself this year. It was filled with hope and optimism and…aha! Therein lay my inspiration. So here I share with you some of my resolutions as inspired by my lovely friend of 20 years. Find time to enjoy simple pleasures. I am an adventure seeker and a high-energy person (duh!). I will give myself permission to take a walk in nature without the goal of burning those extra calories. I will take a bubble bath and not take work along with me. I will listen to the music I really love rather than whatever is on the radio at the moment. Read more. Well, actually I read quite a lot, most of it news-related. In fact I am quite a bookworm and love to get lost in a good book, but rarely allow myself the time. This year I will read for pleasure, maybe even look for a book club. Whoa! Baby steps! Spend time with good friends. Hmmm, my life is already filled with plenty of amazing people. But I find I tend to neglect spending quality time with those special friends who really “get” me. These are the folks some refer to as “family of choice,” the ones who love me unconditionally and who, by their mere presence in my life, give me courage. Get more rest. This is perhaps the toughest goal of all. See resolution #1. High-energy people do not like to sleep much! I usually subscribe to the “I’ll sleep when I’m dead,” theory. However as I get older, I find I really do feel better with more rest. So, without giving it an actual number, I pledge to add more rest to my days, or nights, depending on how it works out. A short list, right? Well I’ve learned it’s best to break my goals down into manageable chunks. I find the spiritual goals are often the hardest to attain and to keep, but are also the most satisfying. I invite you, even if you are not Jewish, to take this time to think about your spiritual goals and share them with us here at HerSavvy. One more thing. An important part of this season for Jews is asking for forgiveness. So, if I have wronged you or caused you pain this past year, I am truly sorry and ask for your forgiveness. And as we say in our tradition, May you have a sweet year filled with health, joy and prosperity.